An elevated tee shot down to a fairway that has bunkers on the right hand side. 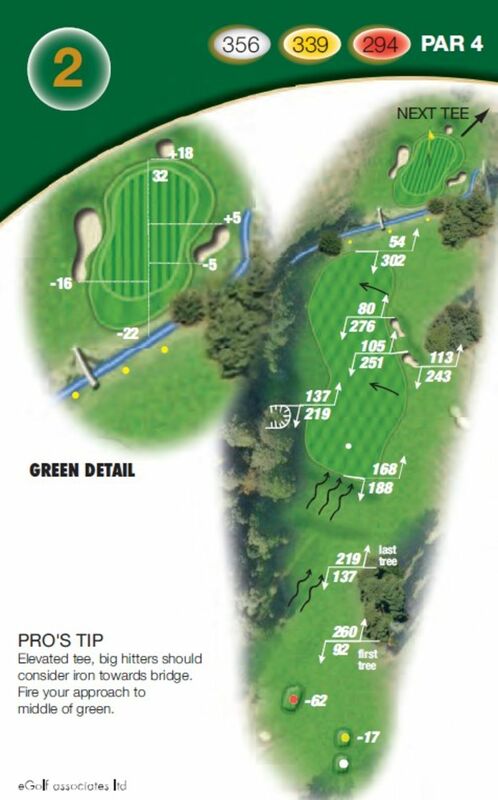 Pull your drive left and your ball will most likely catch one of the large trees that are at driving distance and finish in a small pit, requiring a chip out to the fairway. 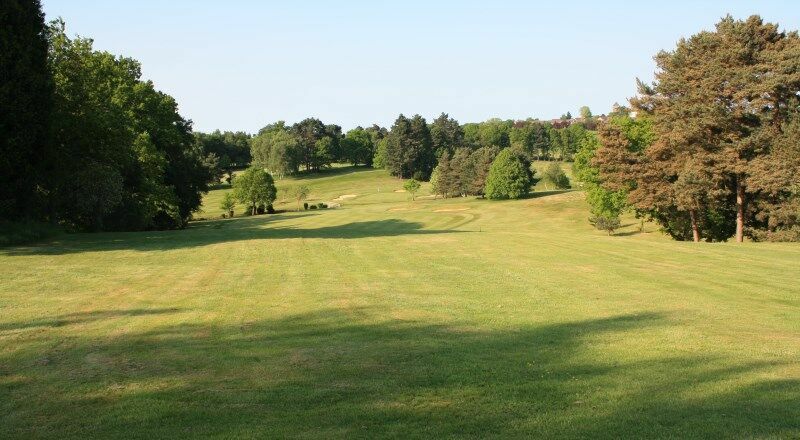 Your approach shot requires you to play over the brook to a sloping green that is well guarded with bunkers. An elevated tee with all the hole below you. Big hitters should consider an iron or rescue club towards the bridge on the left. Fire your approach to the middle of the green.